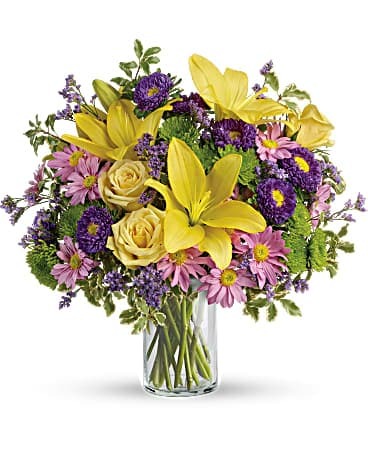 Sprinkle happiness on any occasion with this bright, beautiful bouquet! 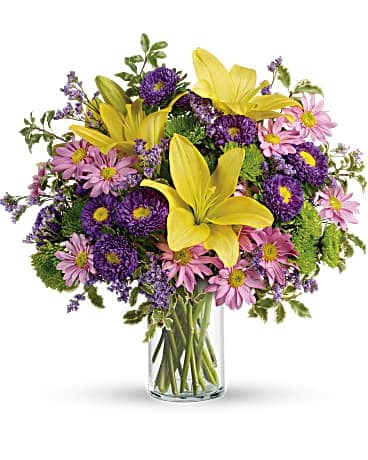 A cheerful blend of sunshiny lilies, pretty purple blooms and glowing greens in a classic cylinder, it makes any day feel fresh and fabulous! Occasionally we may need to substitute flowers and certain products, but each item is filled as closely as possible to the pictured item and always filled to value. Colors may vary.